Chief specialist on quality and safety culture – JSC OKB «GIDROPRESS» (Enterprise of the Russian State Atomic Energy Corporation ROSATOM). Ilya was graduated from Moscow Engineering Physics Institute. His master’s degree work (thesis) was about The Quality Management Systems at the Enterprises of Nuclear Energy Field. Ilya joined OKB «GIDROPRESS» in October 2011 when he was preparing his master’s degree work and became true patriot of his enterprise. OKB «GIDROPRESS» is a chief designer of water-cooled water-moderated energy reactors (WWER) of Russian design. 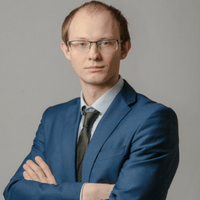 Ilya worked there as a quality engineer then as a head of quality management system group and now proceeds as a chief specialist on quality and safety culture. He is involved in the wide range of international activities like participation in working group meetings and workshops (including IAEA technical meetings), external audits, negotiations with the Foreign Customers, contracts agreement, documentation approval, etc. Elaboration and implementation of the Safety Culture Program. Assessment of the Safety Culture level and development of Safety Culture.